“What do you want to be when you grow up?” is a question that usually carries a different undertone for Chinese-Indonesians. The answer does not only reflect a person's passion or calling, but also determines the future of their family’s legacy. That the Tionghoa – as Chinese-Indonesians are locally known – are skilled in trade might be an outdated stereotype. Since migrating centuries ago to the archipelago known as Indonesia today, Chinese people have had a long history of discrimination that forced them to live in isolated quarters, where they carried out economic activities mainly among themselves, and so trade evolved naturally as an occupation. Chinese-Indonesian children are often taught to dip their toes into entrepreneurial waters at a young age. Dany David, the son of the owner of the now legendary Mandala Baru restaurant, recalled learning to operate a cash register as a child. “[The education] is the same in any typical Chinese family. We just know that we have to help,” said Dany. Sisters Jessica and Peggy Novia, the owners of the blossoming La Madame Florist business, were also taught from a young age to be entrepreneurs. Although they do not work in the same business as their parents, they still look to their parents for advice. "I guess the biggest lesson our parents taught us was never to be afraid to take risks," said Peggy. Since the political reform era that began in 1998, discrimination against Chinese-Indonesians has been largely subdued, which has allowed them to pursue other professions. 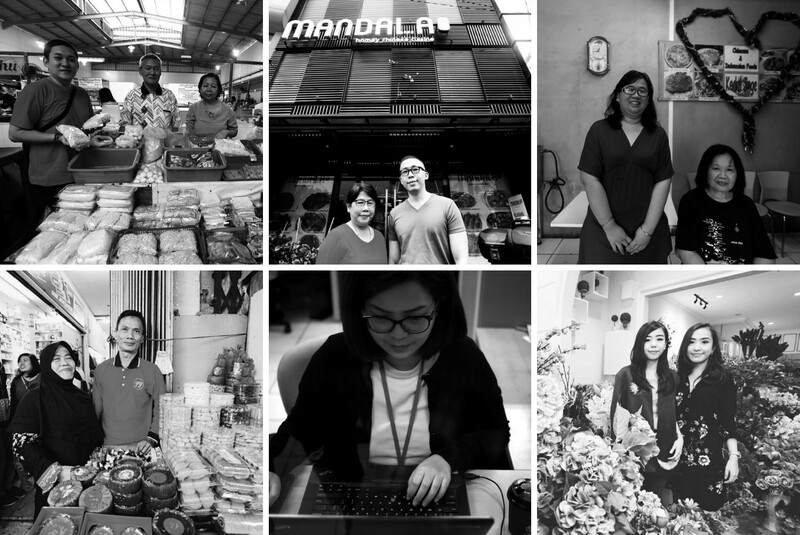 Today, young Chinese-Indonesians work in a variety of sectors, even public service. Still, there are hundreds, if not thousands, of Chinese-Indonesian businesses in Jakarta alone that have withstood decades of economic and political upheavals. Despite the stereotype, not all Chinese-run business are successful. As with any business, not all can afford to expand, and others are struggling just to stay afloat. Kedai Inge (Inge’s stall), located in front of Pondok Jati train station, is one of these relics from the past. Fifty years since its establishment, the restaurant is still running, despite its change in fortune. “It’s different from what it used to be, but we are getting by,” said Gloria Putri Tirta, the granddaughter of Fung Sin Moy, who founded the restaurant in 1968. The rollercoaster of entrepreneurship can be scary, as the Post's Jessicha Valentina says. Since she was small, she has envied her aunt who went to work every day and had a steady life. Having the freedom that was not available in the past and facing contemporary economic realities mean that fewer young people dream of becoming a trader. Knowing how to count money in the Hakka dialect is no longer a necessity. Besides, outside the markets in Chinatown, who cares about the difference between go ban and go cap? Yet, some Chinese-Indonesian youths are finding themselves back at the stores where they grew up to continue their families' legacy. Formerly a private driver that worked 17 years for the same person, 42-year-old Akhmad Wijaya was initially reluctant to return to the family business to help his mother, Yanti. Now 63 years old, Yanti has been selling cookies for around 40 years in Glodok, West Jakarta. Eventually, Akhmad realized that it was his duty to continue the business. "She is old now. However, we still have many loyal customers. It would be a waste not to continue this business," he said. Donal Wikarta also had a taste of corporate life before jumping back into the family business. He was working at a public relations firm when his father asked him to quit. It was hard, said Donal, but his father was sick and he wanted to help.